Test our solutions at The Assembly Show 2017! Come and test our Industry 4.0 solutions at The Assembly Show on booth #331! The road to manufacturing Success! 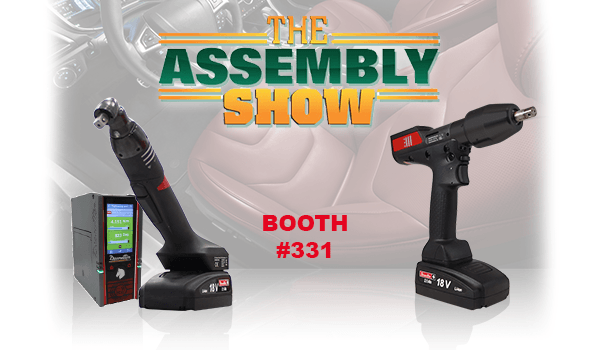 Attend the only tradeshow exclusive to assembly technology, equipment and products! We invite you to our booth #331 to discover our latest tools and solutions for Industry 4.0! The 5th annual Assembly Show offers 3 days of technical education sessions, over three hundred exhibiting companies showcasing the latest products and technology, thousands of attendees, two exciting networking sessions and dynamic keynote speaker, Derek Harper VP of Information Technology at Faurecia North America further illustrating the Industry 4.0 focus.